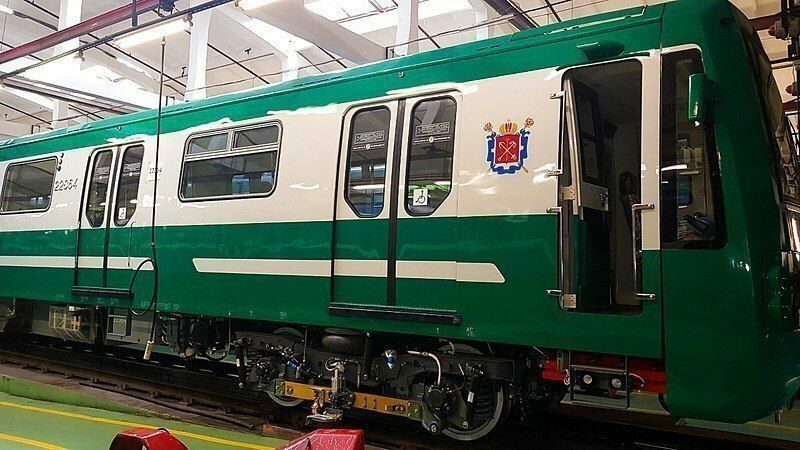 The purchase of new trains was timed to the World Cup in 2018. Now the green branch line, on which the new Novokrestovskaya and Begovaya stations are located, will be equipped with modern trains for asynchronous traction. New cars are equipped with air-conditioners, and in the driver's cab a vibration-absorbing chair and touch-screen displays are installed. Also, the walls and glass in the new trains are protected from vandals by a special coating. Run the lineups exactly to the championship.